An opioid epidemic is destroying lives across America. And chances are this deadly plague has already taken root in your backyard. Opioid addiction, overdoses, and deaths are rising at an alarming rate nationwide. 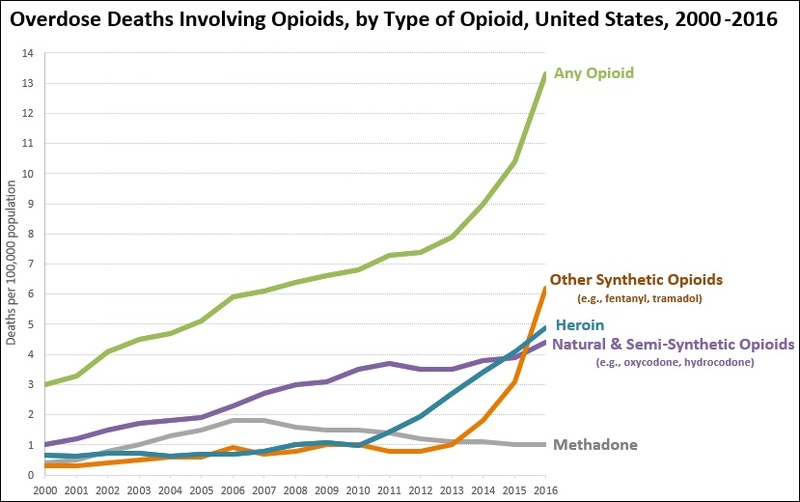 The Centers for Disease Control and Prevention (CDC) reports a 200% increase in overdose deaths involving opioids since 2000. Today, over 42,000 Americans die annually after overdosing on opioids. That's the equivalent of 14 September 11th attacks a year! The opioid epidemic has also contributed to widespread outbreaks of infectious diseases linked to IV drug use. The Department of Health and Human Services (HHS) reports acute hepatitis C infections increasing 250% since 2010. Complications from hepatitis C kill another 20,000 people per year. And this just scratches the surface of how this lethal plague is devastating the nation. Accidents while under the influence, violence as a means to get drug money, and other infectious diseases linked to IV drug use such as HIV kill thousands each year. And if you think opioid abuse only affects users, think again. The CDC estimates the total economic burden of prescription opioid misuse in the United States is $78.5 billion a year! That includes the costs of health care, lost productivity, addiction treatment, and criminal justice involvement. And rarely does the addict pay for any of this. Most of the time, you do. It all started in the early 1990s. At that time, pain advocacy groups began to argue that the nation faced an epidemic of untreated pain. They pushed for the increased use of opioids in pain management. 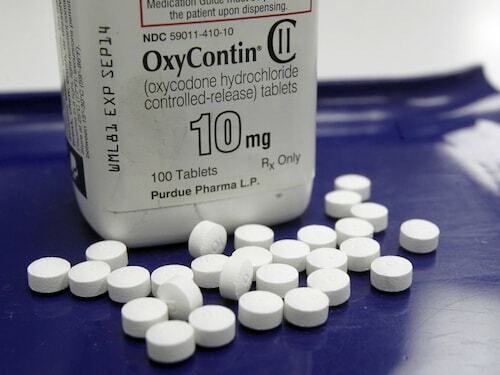 Coinciding with this push was the introduction and extensive marketing of Oxycontin (oxycodone). Oxycontin sales reps visited doctor offices throughout America, leaving gifts, free samples, and invitations to all-expenses-paid trips to swanky conference events (a.k.a. vacations). All of these actions influenced the prescription of more opioids to patients with pain. The widespread adoption of oxycodone for pain relief was also facilitated by dubious marketing strategies that downplayed the drug's addictive potential. All this resulted in a major increase in opioid prescriptions (particularly oxycodone) for pain management. And it didn't take long for people to become addicted. These operations prescribe narcotics without asking a lot of questions. They're nothing more than legal drug dealers. A typical visit might include one question from the doctor: Describe your pain on a level of 1 to 10. And based solely on the patient's response to that question, the doctor will prescribe opioids. You can imagine how easy it is for a drug addict to get their fix this way. Pill mills can put billions of dollars of prescription opioids on the streets. And they have. Last year, the House Committee on Energy and Commerce released details of an investigation that showed drug wholesalers sending 20.8 million prescription painkillers to a town of only 3,000 people in West Virginia between 2008 and 2015. And that's just one small town in America. Obama's 2016 Affordable Care Act led to historic gains in health insurance coverage. But like everything else, higher health care coverage is a double-edged sword. One of the many unspoken truths about health care is that the system is widely abused. And for years, people have been milking the health care system to get high on a discount or sometimes for free. When the Department of Health and Human Services decided to study opioid misuse among Medicaid recipients, they found the program was covering the drug costs of 4 in 10 non-elderly adults with opioid addition. A more recent HHS investigation found almost 50 health care providers in Ohio alone who prescribed the narcotics to at-risk Medicaid recipients. A report also found nearly 5,000 Medicaid recipients in Ohio getting large amounts of the drugs without cancer or hospice care diagnoses. And Ohio is just one state in the nation! The ugly truth is that the health care system itself makes opioids more available to more people. Although drug supply is a key factor in the opioid epidemic, we must also consider the responsibly of the consumer. Because the fact is, there's never been any drug that's jumped into someone's mouth of its own accord. People willingly take drugs. It's true that there was some dubious information marketed about the addictive potential of Oxycontin and other opioids in the 1990s. And it's true that this misinformation led to some becoming addicted. We can see a bit of evidence of this in opioid overdose rates by age. Those who were most exposed to false information about opioid addiction, 45- to 54-year-olds, have the highest opioid overdose rate. 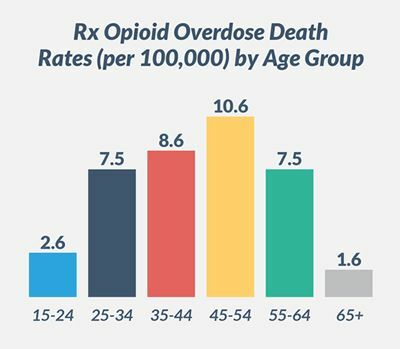 However, opioid overdoses are nearly just as high among younger generations. And the misinformation in the 1990s doesn't account for drug addiction among these groups, since they were too young or weren't born yet. Drug overdoses among younger generations are actually rising the fastest across the spectrum. The National Center for Health Statistics says drug overdose rates among 45- to 54-year-olds increased 15% from 2015 to 2016. But over the same time, overdose rates increased by 29% among 25- to 34-year-old young adults and 28% among those aged 15 to 24. So why are more people still beginning to use opioid drugs? That's the big question everyone is trying to answer. Some believe increased addiction rates are fueled in part by recent economic and social upheaval. Others say people are seeking refuge from isolation and hopelessness in an increasingly complex world. I think it's a combination of a natural human desire to seek altered states of consciousness and high opioid availability. In my home state of Maryland, it's still way easier to get an opioid prescription for pain than it is to get a cannabis prescription for anything. Let that sink in. Whatever the reasons people begin using opioids, something needs to be done. Some people choose to ignore the gruesome impacts of the opioids epidemic. Others are searching for a solution. My colleague Jeff Siegel just put the finishing touches on a brand new investment research report, which highlights the three biggest companies fighting the opioid epidemic. These companies are hoping to stem the devastation of the opioid epidemic before it gets any worse. You can get this report right now by clicking here. And I urge you to do so because time is truly short. The opioid epidemic is a ticking time bomb ready to unleash both foreseen and unforeseen evils upon the nation. Ultimately, the opioid crisis is the result of both suppliers and demand from consumers. Hopefully, someone can do something soon to save the country from this crisis. Politicians typically change their minds on issues when one of two things happens: they realize their opposition to a particular issue could cost them their jobs, or they realize it is keeping their state from making a lot of money. Both of these reasons are why cannabis legalization is coming to New York. You don’t have to be a Wall Street billionaire to make money in the cannabis market. Energy and Capital editor Jeff Siegel is living proof. And he's decided to forego helping big-shot Wall Street fund managers in favor of helping readers of Energy and Capital. At this point, it’s nearly impossible to come across someone who has not been affected by opioids, whether it was themselves, family, or friends. Energy and Capital editor Keith Kohl takes a look into the most devastating crisis in America today and shows readers how some investors are finding solutions to the opioid epidemic. Marijuana Manifesto's editor Jimmy Mengel shares the highlights of his talk, "Marijuana Investing 101: How to Buy Cannabis Stocks Without Getting Burned" at last week's MoneyShow conference in San Francisco.